First of all thank you everyone who contacted me with concern about my loved ones in Nepal. My and AS immediate families are safe but there thousands out there who need our help. 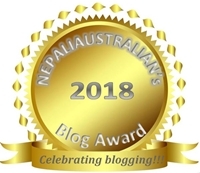 I am sure most of you are aware that Nepal has been hit by 7.9 magnitude earthquake on April 25, 2015 and there is widespread devastation across the country. The death toll, approaching 2,000, continues to rise as search and rescue efforts are underway in Kathmandu and across the country. People are still trapped under collapsed buildings in Kathmandu, and there is no way to accurately guess how many are in need throughout the other cities and thousands of villages at this time. 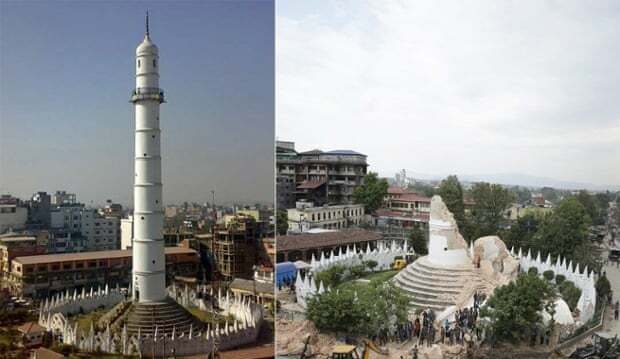 The Kathmandu as I knew has changed forever as hundreds of buildings have collapsed including many homes and many of Nepal’s ancient and iconic temples and monuments. The immediate need on the ground is for medical support, search and rescue, emergency shelters and food and water among many other things. As the days, weeks and months go by and after the humanitarian needs are addressed, Nepal will need to begin the healing and rebuilding process. Countries like Australia, England, India, China, America, Canada, Israel, Germany, Japan and many others have sent search and rescue teams as well as much needed aid. But people of Nepal need every possible help to recover and rebuild so I am requesting each of you to please donate generously and spread the word. Please click the link below and give whatever you can. I know every dollar will count and people of Nepal will forever be grateful for the help . Thank you all for your support. Please keep Nepal and the people from Nepal in your prayers. Though shattered and shocked may God give the people of Nepal all the strength and courage to get through this most difficult of times. P.S. : Please be careful when you donate and make sure every dollar you donate is going to the right place. Beware of deceptive people/organisation who may be taking advantage of the situations. This entry was posted in Kathmandu, Nepal and tagged 7.9 magnitude earthquake, donate for earthquake in nepal, donate for nepal, earthquake, earthquake in nepal, kathmandu, Nepal, pray for nepal. Bookmark the permalink. It was awful to hear of the quakes which hit Nepal so hard and so often. Since they happened I’ve spent much time in prayer and chasing up the people I know who live there or were visiting. I’m glad you and your family were safe and hope that Nepal has received all the aid and support it needs. Thank you so much for all your prayers.I hope Nepal will be rebuilt soon. The losses are so huge, I have prayed daily twice a day for over a week. Hope your family is not too affected and they are safe. xox Love to all of Nepal. Please pray for people in Nepal. Our thoughts and prayers are with all who are facing this hardship and may God give them strength and courage to bear loss of their loved ones. When our prayers are heard people of Nepal will become strong and positive to overcome pain and sorrow. We will show our support by donating to the needy. How are your grand parents and in laws? This whole situation is haunting. Thanks for your perspective and pictures. We care so very much for this country. Thank you so much for sharing Nepal’s plight and devestation. Such loss is beyond words. I pray the lost will be found and families reunited. I pray for hope and healing and rebirth of this beautiful city. May those who hold Jesus dear be His arms and hands and feet to the broken and grieving. I, too will reblog this post. My heart goes out for people of Nepal. I am praying for them and hopefully things will fall in place soon. Loved your blog and your country. Reblogged this on Ravings from Iliria…. I seldom reblog other’s post. But I have no hesitation at all to reblog this hoping my readers will pray and help our brothers and sisters in Nepal! Thinking of you! It’s just such awful news. Definite prayers are coming your way and to the people of Nepal. Good to know your family and friends are okay-so are mine. But seeing the pictures of the city is surreal. Thinking of our friends in Nepal…thank you for this post. I just dropped by to inquire about the well being of your family and close ones back home after this disastrous event. Felt so relieved to see that they are all safe. Very sad news, glad to read that your parents are with you. Awful news about the devastating earthquake. These desasters are terrible. In German news they give information for donation programs and German rescue teams are being prepared to fly out as soon as possible. Thank you. There are so many Australian missing in Nepal as well and I hope we will find them well and alive. Hope for the best. My deepest condolence . I was just waiting for you to post about the tragic event that happened in your home country. Are your parents and relatives okay ? Thank you gal. My parents are in Sydney visiting us and all our relatives In Nepal are OK. It is a big tragedy for people of Nepal as thousands are affected directly.